An uninspiring, out-dated website did not line up with The Open Door’s innovative educational mandate. 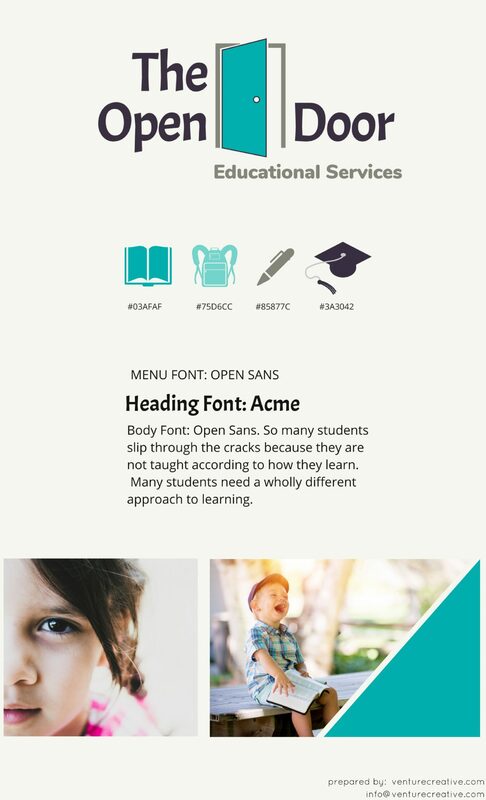 Although their reputation speaks for itself, The Open Door wanted a web presence that would show potential parents and students exactly the kind of professional services they could expect without relying on word of mouth. Educational service providers are not selected lightly. 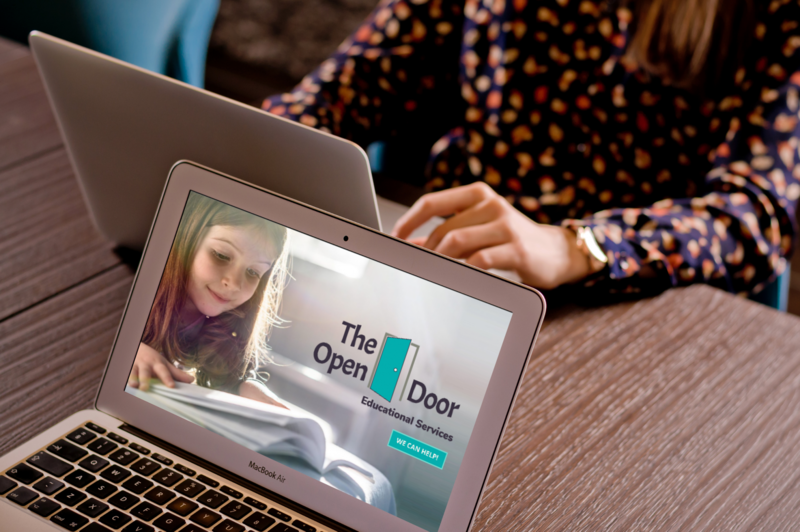 The Open Door needed a visually appealing, highly professional website that would re-assure parents and students alike that they are making the best possible choice. They required a sleek design with strategically selected visuals that would instill confidence in potential students. Providing an impressive, informative online experience that would lead to an increase in bookings was the primary objective. The team brought on | venture creative collective | to elevate The Open Door’s online experience. Using the vcc Brand Review questionnaire, we determined that a few tweaks were needed to update and tighten the existing brand identity. Adding a deeper grounding color and increasing the saturation moved the visual palette towards a more serene composition. Selecting a sophisticated header font kept the child-like feeling, without veering into immaturity. Updating the logo was the next step. Adding colour and perspective, and changing the fonts to match the new heading font selection upgraded the professionalism of the logo, while keeping the spirit of the original design. Using the newly minted visual brand identity, the website was designed next. Sourcing the perfect imagery was critical to maintaining the serene, re-assuring nature of the design. Clear information presentation, intuitive content flow, and a playful design structure create a positive user experience that encourages action. 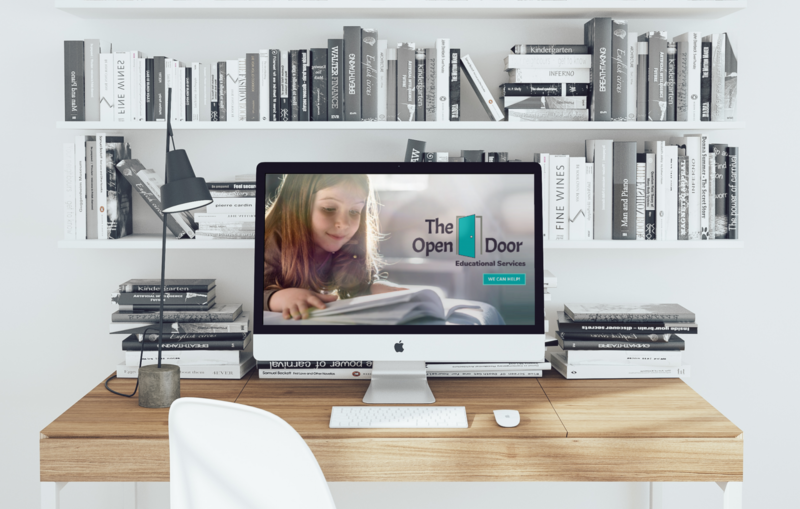 The design merges seamlessly with The Open Door’s new automation portal, created by vcc to automate The Open Door’s student and tutor processes.